Just as seniors need to keep their muscles fit and loose as a senior, it's important to keep your mind in shape as well. Brain games designed for seniors and mentally-stimulating leisure activities have been shown to help maintain cognitive abilities as people age. Senior mind games can keep you sharp. AARP is a well-known nonprofit organization with a mission to help people 50 and over improve the quality of their lives. This is reflected in the games they offer. Word games for senior citizens such a The Right Word and Split Words are popular favorites for those who like word games. They also offer a selection of strategy games and brain teasers for the elderly to get you thinking, and if you like to socialize they also offer group games that allow you to play with or against others. Braingle is more than a game site. They also offer daily exercises designed to help improve memory and manage stress. This site offers plenty of games to entertain and stimulate your thinking and also lets you rate their puzzles and quizzes if you become a registered member. Registration is free and allows access to a selection of exclusive games. Along with these features, members can join a large online community of others who enjoy brain teasers, puzzles, and quizzes. You can make friends on the forum boards and chat with others. Fit Brains' motto is "A brighter mind; a brighter life." This site offers a free trial for a week, but extended membership is not free. More than 25 of the games they offer are scientifically designed to help improve memory and increase your ability to focus. One feature this site offers that makes it stand out from other websites is that members can track their awareness progress to see how much they improve. Sharp Brains not only offers plenty of brain teasers and games, they also teach you about your brain. For those interested in learning more, they provide a list of popular articles dealing with brain care and fitness. A New England Journal of Medicine study reported results of a study that followed the leisure activities of seniors for 20 years. One area of the study looked specifically at whether participants developed dementia. Mentally-stimulating games took into consideration those games that challenged participants to think, such as crossword puzzles, board games or cards, and other activities like reading or playing a musical instrument. It also took into consideration the amount of physical activity in participants' lives. The results showed that those who kept both their minds and bodies active proved to be less likely to develop dementia. In fact, the study showed a direct (negative) correlation between the two: the more active a person was, the less likely he or she was to develop dementia. Those who participated in physical and mentally-stimulating activities once a week reduced their risk of dementia by 7 percent. Those who played mind games for seniors more often and who lived a more dynamic lifestyle with activities like dancing, tennis or even walking, reduced their risk by 63 percent. Along with reducing the risk of dementia, research suggests that playing mind games can help promote brain health and strengthen critical thinking. Crossword puzzles and word search games are examples of such games, but today's mind games can also be found online. Aside from the obvious brain-stimulating benefits that are the result of playing mind games, many game sites offer opportunities for social interaction through forums and chats. 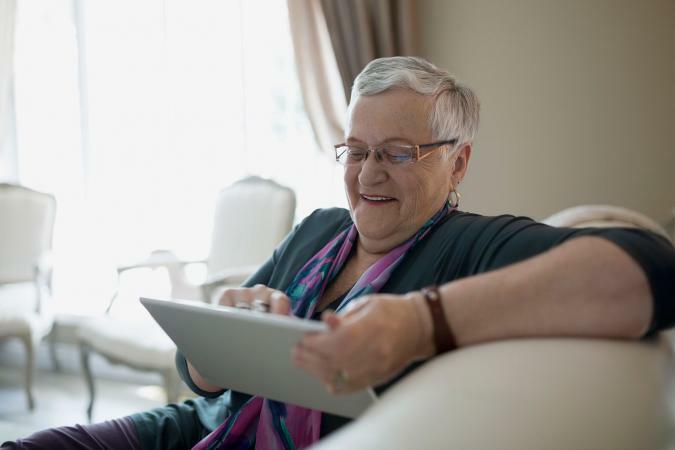 Grandparents can even stay connected with their grandkids by playing multiplayer games together, which is not only a great way to stay sharp but also an ideal way to stay connected with loved ones and/or friends.